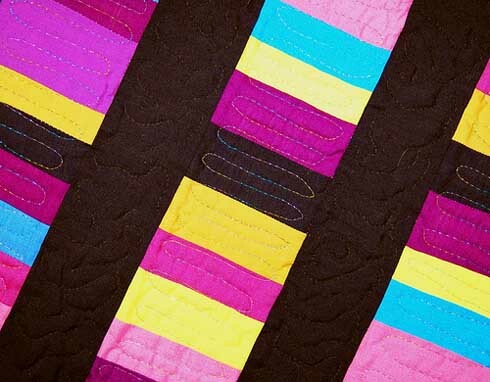 The tradition of quilting has been a part of many cultures. Thought to have originated in China and Egypt simultaneously, the first record of a quilted garment dates back to 3400BC. Quilts have been highly sought after not only for their warmth and functionality, but their artistic quality and color compositions as well. Quilting (stitching together layers of padding and fabric) is as old as ancient Egypt if not older and wholecloth quilts were very common trade goods in wealthy circles in Europe and Asia going back as far as the 15th century. Piecing fabric together is also very old. It was more often used for clothing but also occasionally for decorative objects like this exquisite pieced pillow from the 15th century. The making of pieced quilts made up of cut pieces of fabric sewn in block form with the blocks then sewn together to make the quilt is a more recent development. 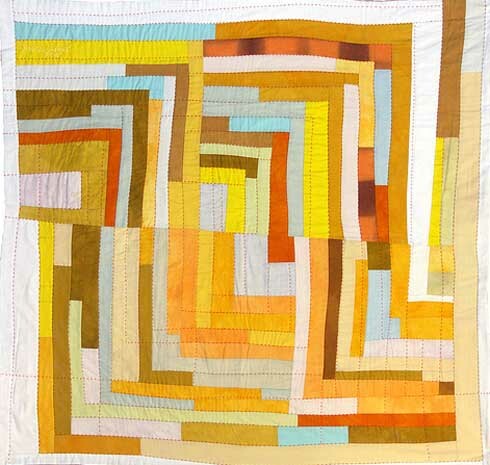 Pieced block quilts, often called patchwork quilt, did not become the dominant form of quilt making until the mid-19th century, and still is not the traditional form in Provence, Wales, and parts of India. Quilt making was uncommon in America in the late eighteenth century and early years of the nineteenth. Most women were busy spinning, weaving and sewing in order to clothe their family. Commercial blankets or woven coverlets were a more economical bedcovering for most people. Only the wealthy had the leisure time for quilt making so Colonial Quilting was done by only a few. Amish quilts are reflections of the Amish way of life. Because the Amish people believe in not being "flashy" or "worldly" in dress and lifestyle, their quilts reflect this religious philosophy. They use only solid colors in their clothing and quilts. Some church districts limit the use of certain colors such as yellow or red because those are considered "too worldly". Black is a dominant color. Although Amish quilts appear austere from a distance, the craftsmanship is often of the highest quality and the stitching forms vigorous patterns that contrast well with the plain background. These traits appeal to a modern aesthetic; antique Amish quilts are among the most highly prized among collectors and quilting enthusiasts. 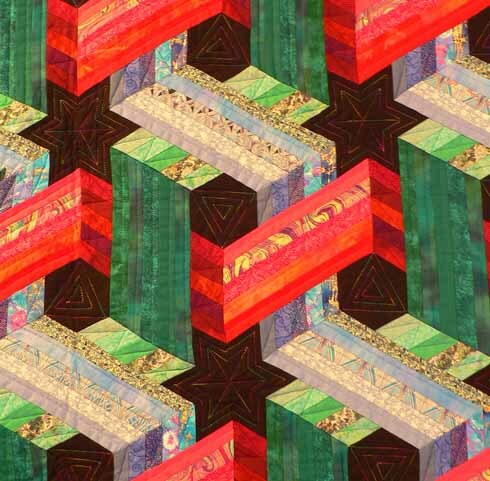 Baltimore album quilts originated in Baltimore, Maryland in the 1840s, and are made up of in blocks in which each block is appliquéd with a different design. The designs are often floral, but many other motifs are also used. Hawaiian quilts are whole-cloth (not pieced) quilts featuring large-scale symmetrical appliqué in solid colors on a solid color (usually white) ground fabric. 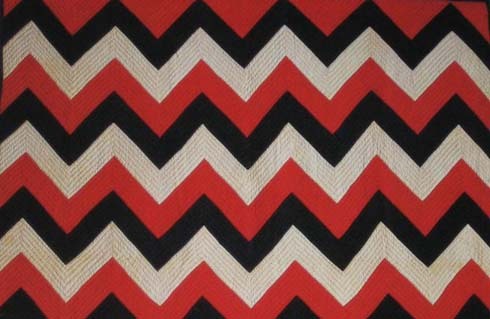 Tivaevae are also quilts made by Cook Island women for ceremonial occassions. 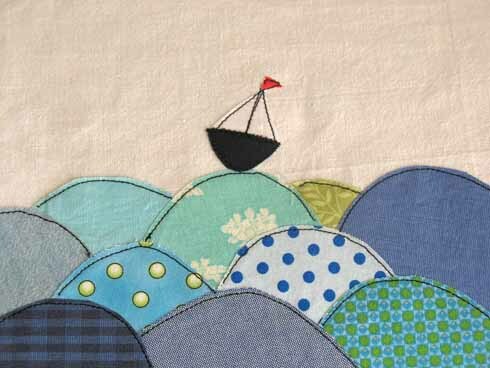 Quilting is thought to have been imported to the Islands by missionaries. The quilts are highly prized and are gifted with other finely made works on important occassions such as weddings, christenings etc. Ralli quilts are traditional quilts made in Pakistan and India. 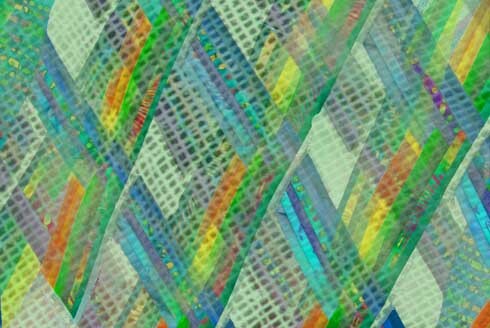 Ralli quilts are called rilli quilts somewhere. Handmade ralli quilts are used as blankets and bedspreads. These ralli quilts make use of patchwork, appliqué and embroidery. Parents present rallis to their daughters on their weddings as a dowry. A quillow is a quilt with an attached pocket into which the whole blanket can be folded, thus making a pillow. Bangladeshi quilts mainly known as 'Kantha' are not piecing together of patches. They are two to three cloths joined together for thickness. They are made out of worn out clothes (saries) and mainly used for bedding, as a blanket, and sometimes as decorating piece as well. They are made in the leisure times of women mainly in the Monsoon before winter. Very creative source of inspiration! I've always wanted to make one too, but so little time. very awesome!!! my grandma would make me quilts for gifts... BEST GIFTS EVER! 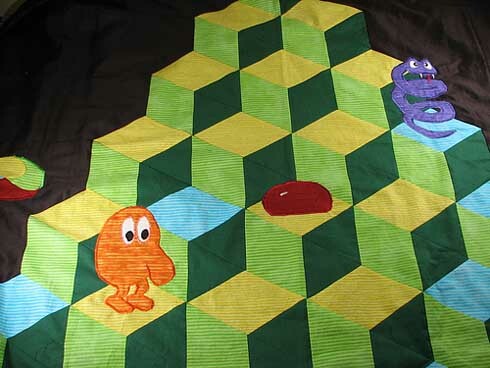 I had a quillow when I was little... weird, I had forgotten about it until now. My mother and grandmother used to do quilts all the time. I grew up around them. They're amazing and so painstakingly beautiful. Great article! It is great to see that there are those out there who appreciate quilts. As a contemporary quilter, I thank you for the recognition. 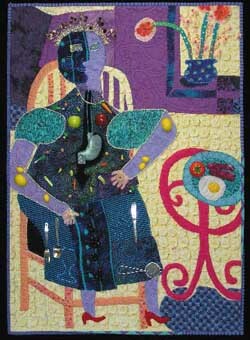 There are millions of contemporary quilters over the world who are award winning artists and create amazing works of art. Being overlooked and under appreciated for years, it is nice to be given credit for their art as well.